Hello friends! Hope you are enjoying your travels and adventures. One place that has something for everyone and is one of the best, when it comes to scenic beauty. That place is Shillong in the north eastern state of Meghalaya in India. Meghalaya means abode of clouds. Whether you are a nature lover or an adventure seeker, a spiritual person or a wildlife lover, a solo traveler or a family man or a photographer. You will find more than one places to interest you in Shillong. It's not for nothing that Shillong is referred to as 'Scotland of East'. Britishers, when they came to this place, were reminded of Scotland by the rolling hills around the town. Hence the name. Located between Brahmputra and Surma valleys, it has an average altitude of 1496m(4908 ft). Highest point is the Shillong peak at 1966m(6449 ft). Surrounded by Pine trees, this is an extremely beautiful and picturesque city. The climate here is pleasant throughout the year and more importantly pollution free. Temperatures vary from 23 degrees celcius in summer to 4 degree celcius in winters. Light drizzle and cool breeze make it extremely enjoyable. Shillong has many waterfalls,beautiful golf courses, mountain peaks, museums,crystal clear lakes and zoo to mesmerize the visitors. People here are jovial in nature and culture is mostly westernized. Musical events are organized here all around the year and it is sometimes referred to as the music capital of India. Shillong has many pubs, bars and discos too. But the best thing about it is it's greenery with breathtaking views what with lakes and waterfalls all around. There are so many places here which provide peace of mind and serenity. HISTORY - Shillong derives it's name from Lei Shyllong, which is an idol worshiped on Shillong peak. Earlier it was a part of united Assam province but a separate small state was carved out and full statehood given to Meghalaya in the year 1972. It has locales mainly from Khasi tribe. Shillong has so many amazing places to visit that it is a herculean task to describe about all of them. So I am trying to bring out some prominent and more interesting places. 1. Elephant Falls - Though there are many falls in Shillong, but this one is the most beautiful. It is situated about 12 km(7 mi) from the main city. It was named elephant falls because of an elephant foot like stone at it's base, which later disintegrated due to an earthquake. It descends from mountains with three successive falls in small valleys having rocks covered with trees of feather type leaves. In local dialect these falls are referred to as 'Ka Kshaid Lai Pateng Khosiew', which means 'three step waterfalls'. Out of the three, first and the topmost is engulfed by dense trees but are broad. The second one is not that broad and of late water level has been receding. The third one and the bottom most is the most visible, tallest and beautiful what with milky white water flowing against the backdrop of black rocks. It is an ideal place for photography. Elephant falls have small shops selling souvenirs and also some small eateries near the parking lot. There are some tempting trekking trails also around these falls. All in all, you can plan a half day visit to this spot. Important - Leave early from your hotel to avoid heavy traffic. Also, elephant falls have a flight of around 100 stairs, so seniors must factor that. Further, wear properly gripping shoes as ground at the falls gets slippery. 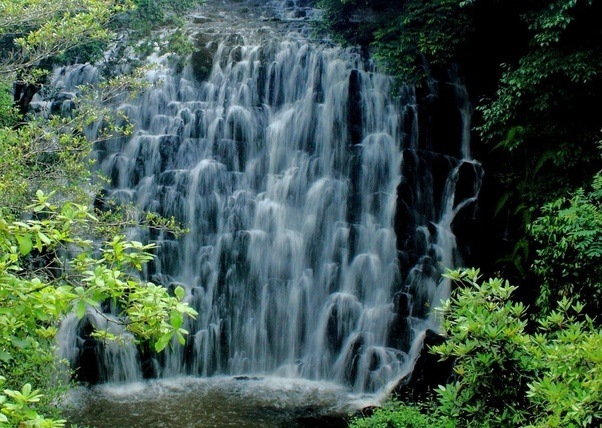 How to reach - Elephant falls are easily accessible by road from Shillong city and you can hire taxis from there. 2. Wards Lake - This is an artificial lake situated in the middle of the city. This lake is encircled by lush green garden and has trees all around. Wards lake is named after a former British commissioner of Assam, Sir William Ward, who first started the plan to build this lake, which was eventually constructed in the year 1894. 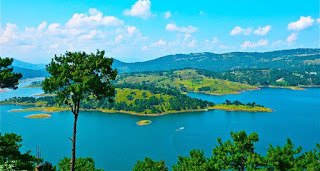 One of the stories connected to this lake says that a Khasi prosoner was bored by the monotony of his daily routine and he developed the area around the lakeWards lake is also known as Pollock's lake or non polok in local dialect. It is a horse shoe shaped lake with boating facilities. You can take a walk around this beautiful lake on the cobble stone paths around it. You can feed the fishes in the lake. There is a cafeteria also where you can enjoy various delicacies. How to reach - Wards lake is located just below the Raj Bhavan or Governer's house in Shillong, so it can be easily reached by local transport. You can travel on local buses or shared taxis. Time - From November to February the lake is open from 8.30 am to 5.30 pm and from March to October, lake is open from 8.30 am to 7.00 pm. 3. 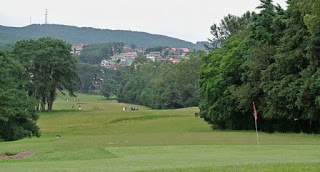 Shillong Golf Course - Shillong has one of the largest golf courses in Asia, which is also the world's wettest. There are very few natural golf courses in Asia and this golf course is one of them. It is both, scenic as well as challenging. It was inaugurated in the year 1924 as a 9-hole course but was later converted to a 18-hole course. It is scenic because it is situated in a valley amid pine and rhododendron trees. But it is difficult tight fairways, with local grass which makes the soil hard and are difficult to negotiate. Numerous water streams that criss cross fairways make it more daunting. And then there are obstructions in the form of trees and bunkers along with the rain. Shillong golf course is located at an altitude of 1550 m(5200 ft). It's longest hole is 6th at 594 yards. United States Golf Association calls it the 'Gleneagles of East'. 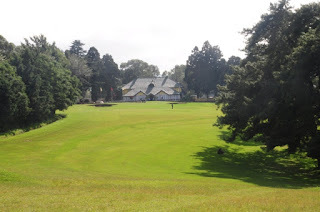 Other facilities like tennis court, library and flower gallery are also available in the Shillong Golf Course. How to reach - It is situated just 5 km(3 mi) from the city center and it can be easily reached by local buses or shared taxis, which charge a nominal fare of INR 5 to 10. 4. Shillong Peak - It is the highest point in Shillong at 1966 m (6449 ft) above sea level. Located at 10 km from city center, it is a picnic spot for all. 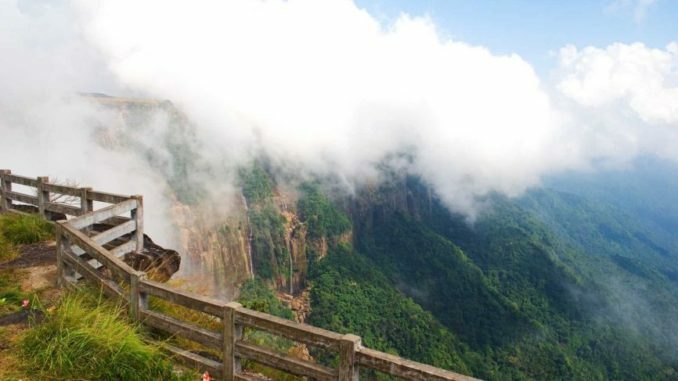 From the top, you get a stunning view of the countryside, waterfalls and Himalayas. As I said earlier, Shillong gets it's name from this peak. Legend has it that the deity Leshyllong resides here and protects the area from all evil. Every spring, obeisance is paid to the deity in a ritual at the U Shalong site at the top and this place is considered sacred. This is an Air Force Base and has a radar station of Indian Air Force. So there is strict checking before entering this place. Try to view the sunset from here. Important - Carry your ID proof with you while visiting Shillong Peak as it may be required for the security check. Also, security personnel may ask you to deposit cameras at the entrance. How to reach - Since it is just 10 km from the city center, taxis are easily available to travel to Shillong Peak. Time - It is open from 9 am to 5 pm on all days of the week. 5. Laitlum Canyons - Surrounded by green hills, it is an edge of the hill at a great height. It is a remarkable natural environmental formation and means 'end of hills'. You will get a magnificent view of the green rocky hills and tiny villages below. The valley has a rough rocky path which is easier to travel downhill. However, walking uphill on this path is really an uphill task(pun intended). This place is not crowded normally and is good for peaceful and secluded break. 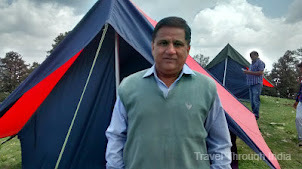 It is also called a paradise for trekkers and nature lovers. There is a small shop here selling simple snacks. How to reach - You can again hire taxi from Shillong to this place. Laitlum Canyons is about one hour's drive from Shillong and taxis usually charge INR 30/- for this place. Important - Start early to reach this place as it gets engulfed in fog by afternoon. Moreover, you should carry a lot of water with you. 6. Don Bosco Center for Indigenous Culture(DBCIC) - This is a center for research on cultures along with programmes on animation, publications and training. It provides a glimpse of rich culture of the native people of North East India. This is a museum, which has a large collection of attires, ornaments, handicrafts, photographs and weapons of the region. It is a seven story building with 17 galleries where you can see art items, fiber glass items and paintings. The uppermost story displays various dance forms of the North East India. How to reach - It is not very far from the city center and local buses and taxis are easily available. Timings - DBCIC museum is open from Monday to Saturday. It is closed every Sunday and on all public holidays. Except fro December and January, it opens from 9.30 am to 5.30 pm. In Dec. and Jan. it opens from 9.30 am to 4.30 pm. Important - Students must carry their identity cards with them while visiting DBCIC. 7. 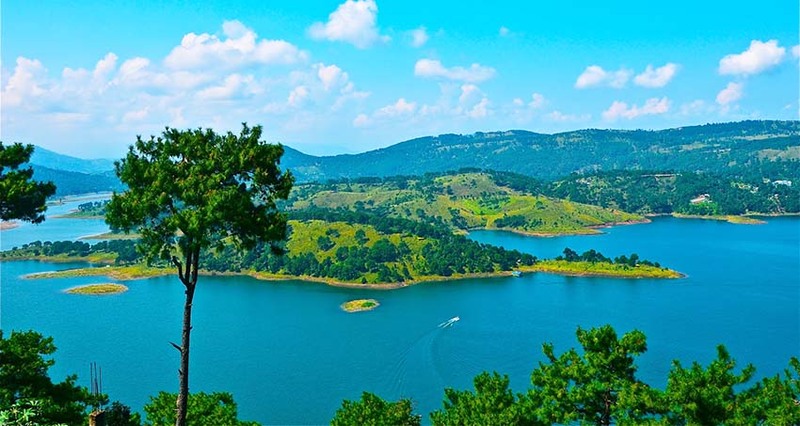 Umiam Lake - Also known as Bara Pani or Big Water, Umium lake is a vast but scenic reservoir. This lake is a part of the dam constructed for the first hydroelectric power project in the North East India. Surrounded by khasi hills, this lake gives a very panoramic view and is often compared with the mesmerizing lakes of Scotland. Umiam lake is a spot for water sports and adventures like kayaking, scooting, boating and water cycling. You can ride paddle boats, row boats, speed boats, sailing boats and cruise boats here. Adding to it's charm is a beautiful garden named Lum Nehru at it's shores. Then there are small islands, that rise from the water and add to lake's beauty. How to reach - Umiam Lake is located 15 km(9 mi) from Shillong on the Shillong-Guwahati highway and is easily accesible. Local buses and taxis are easily available. Timing - Lake is open all days. However, for boating there is a time boundation. Boating is open from 9 am to 5 pm only. 8. Butterfly Museum - It is also called Entomological museum and is the only known museum devoted fully to butterflies and moths. It is a privately owned museum and it's owner is Wankhar Riatsamthiah. It houses 1600 species of moths and butterflies. Anyone interested in the colorfulness of butterflies would not want to miss it. How to reach - It is just 2 km(1.3 mi) from the center of the city and is easily accessible by local buses and shared taxis. Timings - Butterfly museum is open from 10 am to 4.30 pm from Monday to Friday. Saturdays it opens only from 10.30 am to 1 pm. It remains closed on all Sundays. 9. David Scott Trail - A British officer David Scott discovered it as a mule trail in the year 1802 and continued to maintain it for the next 30 years. This trakking trail is named after him. 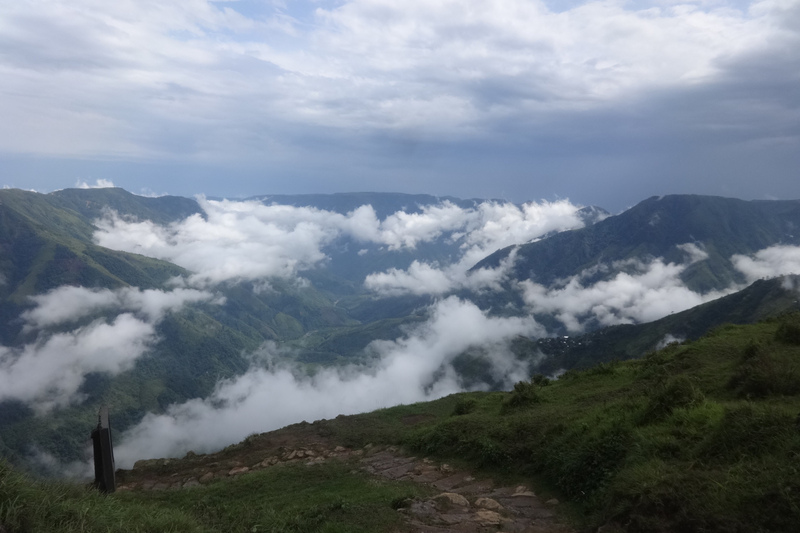 This is the most popular trekking trail not only in Shillong but in whole of Meghalaya. Although the total route of this trail is spread over 100 kms(63 mi) and takes about 5 days to cover, it is broken to smaller routes and the stretch between Mawphlang and Ladmawphlang is more popular for it's panoramic setting. This is a 16 km(10 mi) stretch which can be completed in 4 hours to one day. It goes through lovely East Khasi Hills and you will find rivers, rocks and woods on the vast landscape. Another attraction is the beautiful bridge connecting the villages of Mawphlang and Ladmawphlang. Whole route is full of natural wonders like beautiful waterfalls, expansive meadows, wonderful Khasi villages, streams with crystal clear water gushing down from mountains and forest groves. You can also set up your camps to admire the beauty of the valley. The best time to visit David Scott trail is October Novenber, though you can visit it at other times also. How to reach - The starting point of the trail, Mawphlang is 25 km(15 mi) from Shillong. You will need to hire a taxi from Shillong to reach this place. It may charge you around INR 1200 for the return trip. 10. Chrysalis the gallery - Located right in the commercial hub of the city, this is situated on the second floor of Salonsar Mansion. This art gallery has flexible space to display paintings, handicrafts, sculptures and photographs primarily of artists and artisans from North East India. 11. Mawjymbuin Cave - This is a natural cave and has natural formations inside too. 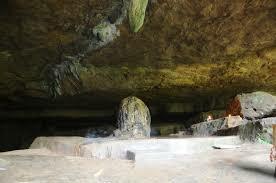 Located 56 km(35 mi) from Shillong, this cave is a major attraction. A giant column of rock in the form of Shivaling. The best part is that this Shivaling is always wet and bathed in water from a rock shaped as udder of a cow. It is a must go place for all including pilgrims, nature lovers, photographers, geologists and even adventure seekers. The fact that it is located near the wettest place on earth -Chirapunjee adds to it's attraction. A 209 m high buckle, made of calcereous sandstone, will leave you spell bound. How to reach - It is easily accessible by road and taxis and buses are available from Shillong to Mawjymbuin cave. It takes around one hour to drive to this place from Shillong. 12. Lady Hydari Park - This park is named after the first lady of the province, Lady Hydari. It is a beautiful park full of variety of flora. The highlight of the park is it's bed of roses. It has a mini zoo to which has 73 species of birds and around 100 species of reptiles along with deer and serow. Park also has a special play area. Also, it has variety of orchids. A walk around the park will completely rejuvenate you. It is a Japanese style park with round hedges and willow trees with their leaves touching the ground. Numerous ponds are scattered around the park giving it a distinct look. How to reach - It is hardly 2 km(1.3 mi) from the city center. You can actually walk down to this park. Alternately, you can hire a taxi. It is not advisable to travel by your own car as there may be parking problem. Timings - Lady Hydari Park is open from 8 am to 5 pm on all days except Mondays. It is closed on Mondays. 13. Captain Williamson Sangma State Museum - This is a govt. owned museum and provides insight to the lifestyle of local tribals. If you are interested in tribal culture, you will find enough here to hold you. It depicts the culture and traditions of ethnic tribes. It is located in the state central library complex. Here statues of great patriots of the state are erected. You will also find ethnic handicrafts, plants and archaeological objects here. How to reach - It is located in the heart of the city. 14. Police Bazar - The commercial hub of the city. You can get anything and everything at this place. This is located in the heart of the city. This market has winding interconnected streets and if you visit them, you may end up with some surprise bargains too, specially for fashion loving women. This market has two private and two government owned handicrafts emporiums. Here you can shop for bamboo and wood handicrafts like display items, baskets, trays along with other items like Assam silk sarees, purses, bags and jewellery etc. There is no bargaining at the government emporiums but you may have to bargain at the private emporiums. You can also shop here for hand woven shawls, trendy head gears and traditional Khasi dresses. Police bazar has some small malls also. This is the perfest place to try out local cuisine including steaming hot momos. You will get tribal food also here. Most of the restaurants are situated here. How to reach - This is the hub of the city. 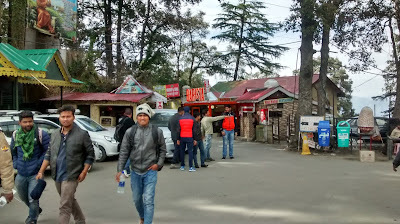 Bus stand and taxi stands are situated here and most of the hotels in Shillong are also situated here. Important - Most of the market gets closed by 8 pm, so you should finish your shopping and dinner before that. I have tried to describe as many spots as possible but there are many many more places to see in and around Shillong, which are not only fascinating but will enchant you with their breathtaking beauty. Air - Shillong is connected to rest of India by a small airport named Umroi airport, 35 km(22 mi) away, which operated limited flights, mainly to Kolkata. Govt. run buses along with private taxis are available to commute to and from airport. The nearest major airport is Guwahati in Assam, which is 128 km(80 mi) away. It has regular flights from all the major cities of India. From here, you can hire shared taxis, which charge INR 300 per person and drop you at Police bazar in Shillong. There is a helicopter service also on all days except Sunday. It takes only 20 min. to reach Shillong from here. You have to check the fare. Rail - Shillong doesn't have a railway station. Again the neares railway station is Guwahati, which is 104 km(65 mi) away. It is connected to all the major cities of India. Meghalaya Transport Corporation runs bus services from here to Shillong. The service is available from 6 am to 5 pm on all days. Taxis are also available from here to travel to Shillong. Road - Shillong is very well connected to rest of the country by road.While National Highway 40 connects it to Guwahati, National Highway 44 connects it to Tripura and NH44A to Mizoram. 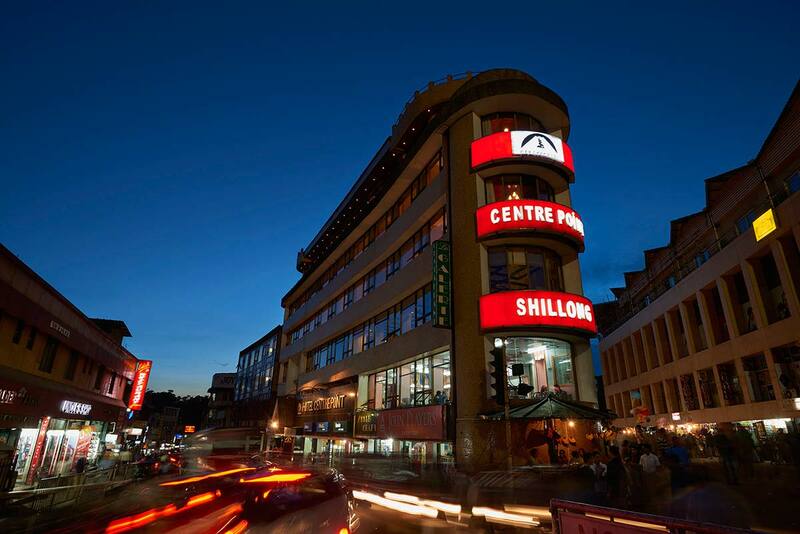 WHERE TO STAY - Shillong has hotels to suit every budget. 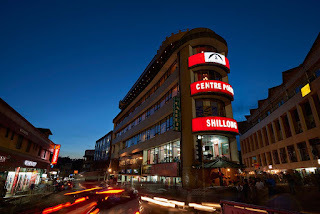 Most of good hotels in Shillong are located in Police Bazar and you can easily find the hotel here to suit your pocket. Really nice information.. Great content and description about shillong.. Thanks for your words of appreciation. They mean a lot. I am glad you liked it. I invite you to visit my other posts too and provide your valuable feedback.